The Law Society has chosen Catherine Dixon to replace Des Hudson as its chief executive. 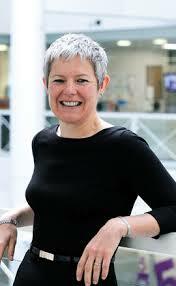 Ms Dixon has been chief executive of the NHS Litigation Authority since April 2012. A Law Society spokesman said she would join in the next few months, at the end of her notice period with the NHSLA. He said that interim arrangements were being made and would be announced shortly. Ms Dixon grew up and qualified as a solicitor in Yorkshire. She studied for her law degree and Law Society Finals at the College of Law in York. She also has an MBA and is an accredited mediator. She worked in private practice, including at Eversheds, before joining Bupa as head of legal and then becoming commercial director of Bupa Care Services. Ms Dixon followed this with a few years in Vancouver, Canada, first as an instructor for Outward Bound and then as director at Vancouver Coastal Health Authority. Before that she was general counsel and company secretary of the charity NSPCC. Ms Dixon said she was proud to have led the NHSLA through a period of change, ensuring that it supported the NHS by learning from claims, and “by rewarding organisations which have fewer claims by reducing the cost of their indemnity cover”. She went on: “The NHSLA operates more efficiently and effectively to ensure that patients who have been harmed by negligent care are compensated fairly and quickly and the NHS is defended against claims without merit. I am excited and feel very honoured to be joining the Law Society. I am committed to ensuring that the Law Society has a strong voice for all our members. Paul Philip, who became chief executive of the Solicitors Regulation Authority earlier this year, was also recruited from the medical world – he was previously deputy chief executive of the General Medical Council. Interesting. Hopefully a breath (preferably a whirlwind) of fresh air.